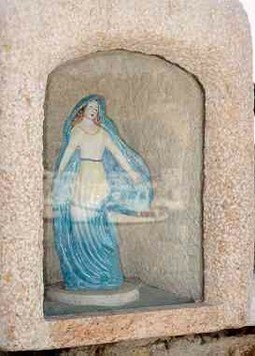 In the tourist port of Finale Ligure has been placed a statuette of Our Lady, inside a niche. "THE LADY OF THE SEA"
To perennial protection of all those who take risks on the waves. Realized with the interest of the association "The Garosci of Pia,"
Close up of the niche that contains the Madonnina. 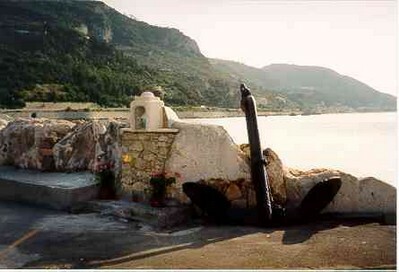 (On the glass that protects the statue from the saltiness glimpse reflected some boats moored in the harbor).